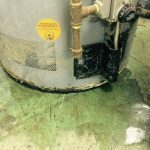 How great would it be if your business never experienced downtime due to a broken water heater? That’s where water heater redundancy comes in. So what does it mean to have redundancy in your water heating system? No, we’re not talking about the phrase “hot water heater,” though that’s definitely an example of redundancy! In this case, water heater “redundancy” essentially means having one or more backup water heaters in place that are configured to work automatically in case one (or more) of your water heater(s) fail. Redundant water heaters are a smart idea for any company that relies on hot water to keep their customers happy or their doors open for business – and in some cases they’re even required. In a hotel, restaurant or apartment building, you might be able to survive without hot water for a few hours without losing customers or tenants – especially if you go about resolving your equipment failure in a timely manner and have a policy in place to compensate unhappy people. But for some businesses, particularly those in senior care or food manufacturing facilities, redundancy is practically mandatory to keep daily operations up and running. If you’ve got a water heater rental plan, when that water heater goes down, you’ll be able count on fast, reliable water heater service, so your water heater woes won’t be quite so burdensome. However, without water heater redundancy, you’ll still be down until your trained water heater technician arrives. With multiple heaters set up to provide hot water redundancy, you’ll never have to worry about the wrong person finding out about your water heater failure or losing valuable production time. Redundant water heater setup is broken down into two categories: cascade systems and balanced systems. Water heater redundancy ensures that when one heater fails, you have a backup plan. Photo provided by Reliable Water Services. In a balanced system, all water heaters are configured to work together, though at a lower rate than their maximum capacities. This means putting less strain on any one unit overall and reducing the likelihood of one unit burning itself out. In a cascade system, one water heater or a set of heaters (depending on the needs of the business) does the work of heating water most of the time. The additional (redundant) heater or heaters only kick in when the main water heater(s) are not functioning properly. In either configuration, but perhaps especially in a cascade system, it’s important to keep an eye on all of the water heaters in a system to make sure each heater, redundant or not, is working properly. Because redundant water heaters are meant to provide an automatic backup, it’s possible for a business owner or maintenance person not to notice that anything is wrong until the redundant heater(s) are also experiencing problems. Regular water heater preventative maintenance is key. Let’s take a cascade system with four total water heaters – two main heaters and two redundant heaters. If the business usually relies on two to meet their needs and one water heater fails, a third water heater will kick on automatically with no problems. If the second main heater fails, the fourth water heater can also kick on – but then you’ve lost your redundancy. If no one makes a point to regularly check on your water heater setup and functionality, you may not know anything is wrong until something happens to that third heater – and then it could be too late! For this and other reasons we don’t usually recommend a cascade system for commercial water heater setup. When you put all the burden of producing hot water on one water heater while the others just sit there dormant, you’re more likely to experience water heater failure more quickly and more often. It’s best to lighten the load for each water heater by setting up a balanced system for optimal commercial water heater redundancy. So while redundancy can help ensure that your water heater never goes down, it’s only as good as your ability to keep an eye on your equipment. It doesn’t have to take more than a few moments – just long enough to be sure the temperature readings are correct and that none of the units are exhibiting any early signs of water heater failure. Double Your Luck: How Many Extra Water Heaters Do You Need for Redundancy? We know that redundant water heaters provide backup, but there’s a difference between being completely covered by redundancy and just having a backup heater that lets you “limp along” until your regular heater can be fixed. To achieve 100% or even 50% redundancy, you want enough backup equipment to cover your maximum capacity requirements. Photo provided by Reliable Water Services. If you can’t be completely redundant due to budget or space limitations, then “limping along” is a great option to ensure you have some hot water while you wait for a commercial water heater technician to repair your water heater. In this situation, if you need a 120 gallon water heater, we might recommend installing two 80 gallon units, so when one water heater fails, you won’t be operating at 100% capacity, but you’ll still have enough hot water to keep afloat until that 80 gallon water heater that failed is repaired or replaced. If you have the space, redundancy is a no-brainer when it comes to commercial water heaters. With everything you have to accomplish on a day-to-day basis, water heater redundancy can bring some peace of mind to one of the many components of running a business that can have serious consequences if things go wrong. Free yourself from the worry of water heater failure and call Reliable Water Services to ask about installing redundant water heaters!